Music has a different meaning for different people. For some it’s a hobby, for some it’s a passion, for some it’s a stress buster, but for a few people Music is Therapy. We are glad to share with you that along with medicines we also prescribe and give away music to our patients. We have a music collection at Sarjan and Dr Darshna herself selects the CDs which she feels will suit the patients choice, religious beliefs and language of understanding. While we operate any patient be it a minor procedure or a supra major surgery there is one thing which always accompanies the patients and the doctors, that one thing is Music which is played inside the OT from the time the patient is brought inside. This little effort has helped many of our patients calm down and relax during surgery. As they say our body is made up of what we eat, it is also very true that our mind and thinking is made up of what we see, read and think. Positive thoughts, real stories, affirmations can heal us like medicines. By reading something positive we make place for positive vibrations to come to us. According to patients need, interest and language of communication we give away books to them. At sarjan we have patients who have benefited highly from this practice, we feel so happy when they come and share how that particular book helped them, how they connected with it and so on. At Sarjan Maternity and nursing home we take utmost care of our patient’s needs and comfort. Along with best in class technology and medical treatment we try our level best to make our patients feel at home. We have soothing music played in the hospital premises. Dr Darshna’s consulting chamber also does not look like a typical doctor’s desk. You will see shelves filled with books, music CD’s and a lot of other information material. She makes sure that the patient is comfortable by all means. While consultation she takes help of customized presentations prepared by her in order to give complete understanding of the problem and treatment to the patients. 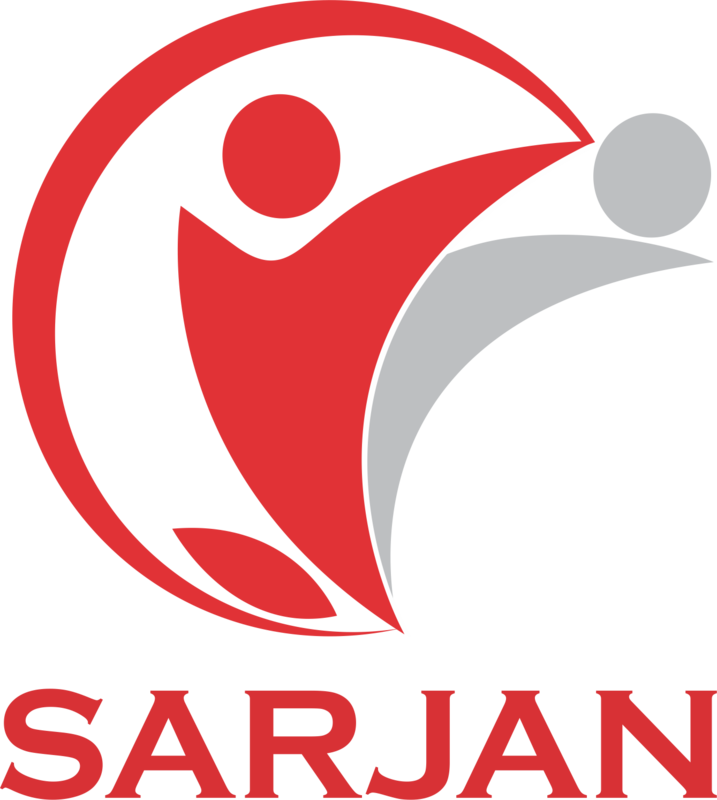 Sarjan Maternity and Nursing Home is located in Ahmedabad, Gujarat. Our objective, very simply, is to truly understand the needs of females of all age group from teenagers, to brides-to-be, to expectant mothers, menopausal women. The maternity experience we offer begins right from the time a woman is thinking of having a baby (pre-pregnancy counseling) and continues right through the various stages of her pregnancy(Anti-natal care). And it doesn’t end at the delivery table, but continues not just till all of her postnatal requirements have been taken care of, but we’ve been lucky to have kids born at SARJAN come and celebrate their birthday with us. This is the completeness of the role we play in the life of new mothers, and we fulfill this role through infrastructure, technology and clinical proficiency that is nothing short of world-class. Sarjan Maternity and Nursing home comes equipped with a state-of-the-art operation rooms, a special ultrasound room, and Deluxe rooms with all modern amenities. We make all our patients feel comfortable and homely. When you come to Sarjan, the first thing that you will notice is that it is not a typical hospital reception, soft music is played all the time which has an extremely soothing effect and helps us calm our minds. Even inside Dr Darshna Thakkar’s consultation room you will find racks filled with Music and books. But more than anything else, we fulfill this role through the significant investments we’ve made in the human side of things – in the understanding of needs and emotions, in the thoughtful little details, in the insightful little conveniences. We carry out a lot of seminars and workshops along with one-to-one patient counseling. For, in the end, it’s not just about having a baby; it’s about having an experience that can be cherished forever. Evidence-based medicine (EBM) emphasizes the use of evidence from well designed and conducted research in healthcare decision-making. The term was originally used to describe an approach to teaching the practice of medicine and improving decisions by individual physicians. Use of the term rapidly expanded to include a previously described approach that emphasized the use of evidence in the design of guidelines and policies that apply to populations (“evidence-based practice policies”).It has subsequently spread to describe an approach to decision making that is used at virtually every level of the healthcare system. Whether applied to medical education, decisions about individuals, guidelines and policies applied to populations, or administration of health services in general, evidence-based medicine advocates that to the greatest extent possible, decisions and policies should be based on evidence, not just the beliefs of practitioners, experts, or administrators. Patients at Sarjan are given information, time, resources and continuous communication support that they need to achieve true health and well being in all aspects of life. As a practicing gynecologist Dr Darshna Thakker helps her patients achieve healthy status in true sense based on definition of Health by WHO – World Health Organization. 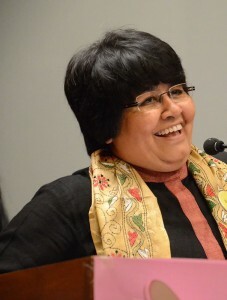 Her efforts to facilitate healing of patients via educating them to understand the scientific concept of mind body healing has helped many lives. Dedicated counseling sessions may it be for teen tantrum, menopause issues, journey of nine months pregnancy or pre-operative anxiety … helps a lot of people to deal with the situation with much ease and comfort. Be ready to share your anxiety and detailed history for faster recovery of your health problems! Yes, you get enough time to talk and get guidance. 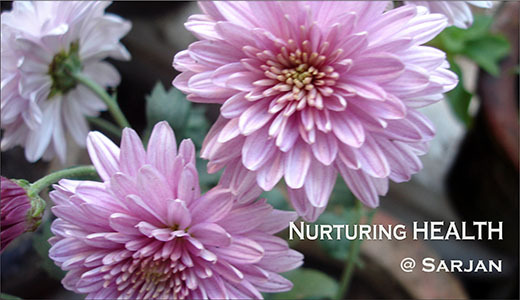 Mind well many symptoms/manifestations can have non-medical root cause, which we at Sarjan try to find out. Visit us and feel the Difference. Don’t get surprised to get a book/music as prescription.